Since starting Bliss Sanctuary For Women way back in April 2011 one of my largest aims was to open a sanctuary in Ubud. And since then I’ve been looking for just the right place. Bali has changed a lot in the last 7+ years and back when I first started, Canggu was in the very early stages of being built up and full of rice paddies, fairly quiet beaches and a few villas going up here and there. Fast forward to now and it’s the capital of beach clubs, Boho style shopping, man buns, yoga and amazing coastal villas. As the first destination of Bliss Sanctuary For Women I found a villa in the heart of rice paddies on a dirt track. We since built that into a gorgeous 6 bedroom spa retreat with massive tropical gardens, 2 pools and a massive yoga shala. In that time the road got paved, the rice paddies over the road became the football oval, and that location is now built up with a big supermarket, restaurants and a very busy road through to the beach. Suffice to say we have now moved to a much quieter and more upmarket villa not too far away and in a really cool location with a short walk to amazing shops and café’s, on a big piece of land with an amazing pool and indoor / outdoor living. The 2nd year in to Bliss, after growing almost double at our Canggu Sanctuary we were turning so many people away as we were always sold out. It almost pained me turning last minute people away as they really really needed the time out and were so disappointed. So I started looking elsewhere. Including Ubud, but we looked and looked and couldn’t find anything suitable. At that time it was a mecca of huge resorts but very few villas. 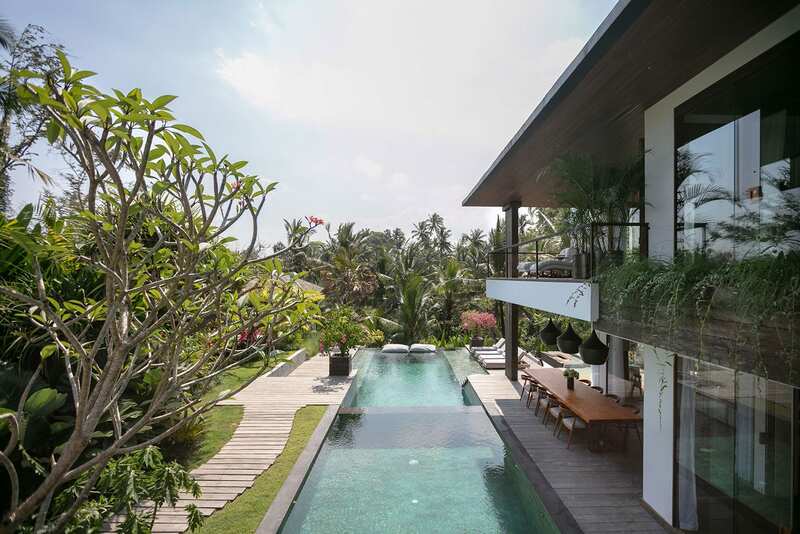 So I started looking in Seminyak and we found a great place with an amazing structure and a fantastic location. There I embarked on another huge renovation and made this gorgeous villa into the perfect sanctuary retreat. 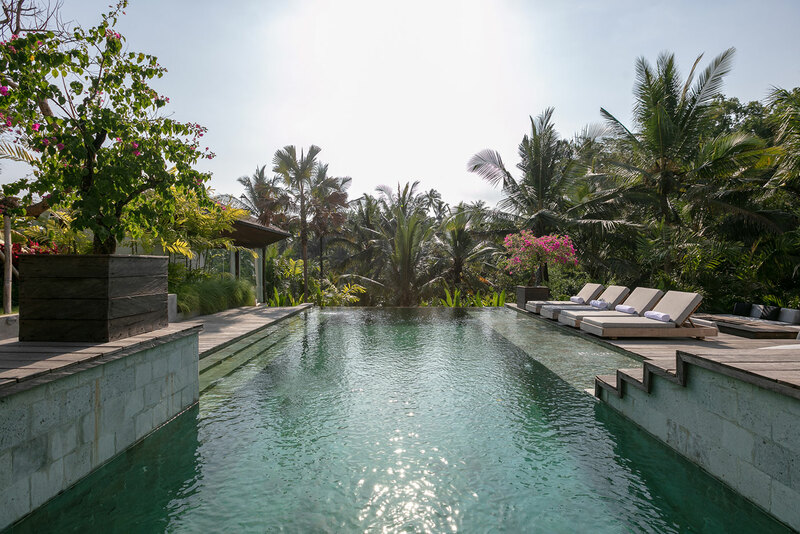 All of our locations have been tailored to host all of our amazing packages which are basically a culmination of all different styles of Bali retreats into one. Every package includes unlimited yoga both onsite and with surrounding yoga specialist centres. As such every package includes a yoga retreat of sorts … if you want it to. Although a yoga retreat isn’t what everyone is looking for (and why we have so many unlimited inclusions in our packages including unlimited spa treatments and personal drivers). It is something a lot of women are looking for in regards to the wellness aspects of a womens retreat. Many want to try yoga as beginners or expand their practice as committed yogis. As such Ubud continued to be on my radar as not only is it a different tropical rainforest type of location, it is also renowned as a spiritual & cultural epicentre world renowned for its yoga and full of art and trinkets and amazing nature. One year after opening Seminyak we were again sold out and turning people away, as happens when you’re an exclusive Bali sanctuary with maximum 5-7 women at any one time. We could have kept expanding internally and added beds into the rooms or added villas next door like many Balil retreats, yoga retreats, surf retreats and spa retreats nearby. 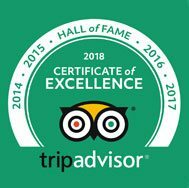 However our aim as an exclusive sanctuary is to give each of our guests a private, luxurious, personal, authentic experience where you can tailor absolutely everything and make changes whenever you would like. So instead of internal expansion and increasing guest numbers I again started looking for a fantastic Ubud retreat and I found one! Or so I thought lol. It was in a fantastic location and basically needed a full rebuild which I was looking forward to and to do up into luxurious traditional Balinese joglo huts. As the project got underway a lot of things changed in Bali and for me personally and I needed to go back to Australia and our project started to slow. I started to rethink luxurifying the traditional Bali huts as the weather is quite different in Ubud and it rains a lot more bringing with it the sort of wildlife and insects some of our ladies are not too fond of. The Balinese huts look amazing, however there is only a wooden wall between the elements, the weather and you. I started to doubt my decision. At the same time, all the media around the world went crazy about the volcano (that never went off) and Bali became deserted. We still had many of our guests wanting to come which they are all glad they did as the weather was perfect. But forward bookings really started to slow. 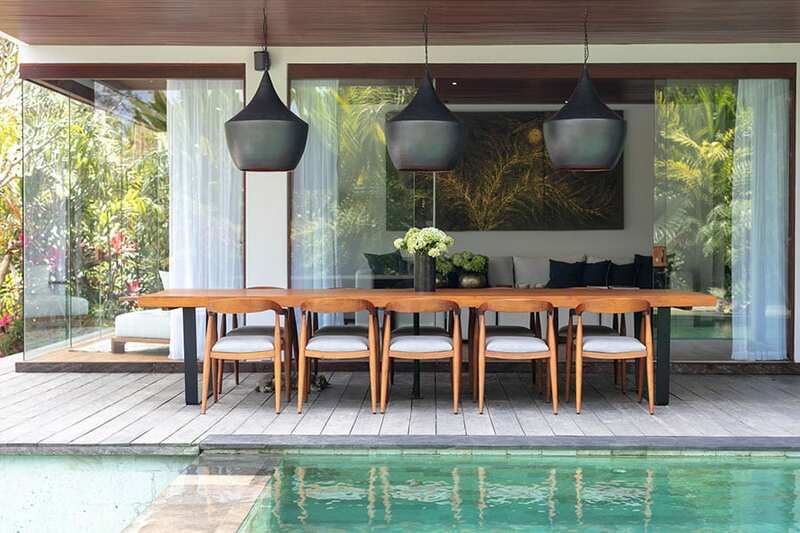 At the same time our neighbours in Ubud asked me if I wanted to sell and I decided it wasn’t the right style of villas or time for us and so we did. As soon as we sold we started to get very very busy again turning so many people away and again I felt the need to have an amazing place for these last minute women traveling who were in such need for time out to refill their cup. But who we could rarely fit in unless we got a last minute cancellation. 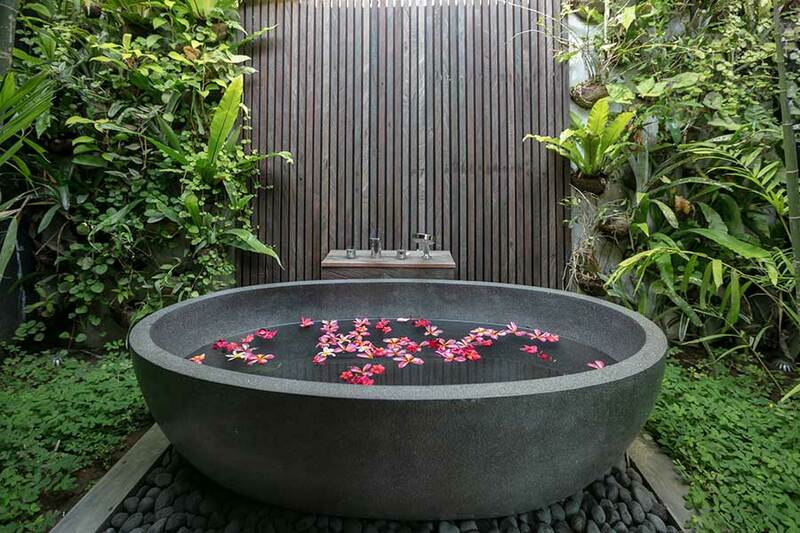 I found a huge Ubud resort style setup that would have been another time consuming and difficult renovation. But it didn’t feel quite right. Then they said they were building next door and they would need to use the same entrance … ummmm no. We are exclusive and don’t allow strangers walking through. I just knew however that this place would somehow lead to an introduction for exactly the right place and I told Patma to keep contacting one of the Balinese ladies involved and who had a lot of land and somebody very well respected as a business women in ubud (we love meeting these amazing, inspiring, intelligent Balinese women). My intuition paid off again and the next place we saw was Ahhhhhhmazing! Beyond my wildest dreams and exactly the design I would have done myself if I was to build from scratch. Patma saw it first and said ‘Mrs Zoë you will LOVE this place it gave me goose bumps and it is completely your style’. I saw the videos and pictures and it gave me goosebumps too. Then we met the lady who built it and she is absolutely amazing with the most beautiful energy. She had many many people wanting this villa, but she had a dream that it was meant to be used for all women. She didn’t know what this meant at the time, but as soon as we connected we both knew. I feel so lucky and blessed that after 5 solid years of searching in Ubud, the universe presented us with the most perfect, amazing Ubud Sanctuary. The energy is perfection. It has everything we could ever need or want, including a beautiful flowing river below and Hindu temple and special spiritual mineral springs where the locals come to be blessed. We have our own path down to the river and the most amazing beautiful Villa with the hugest pools, a firepit to sit around at night and so many chillout areas. A true spiritual, wellness mecca and place of wellness. 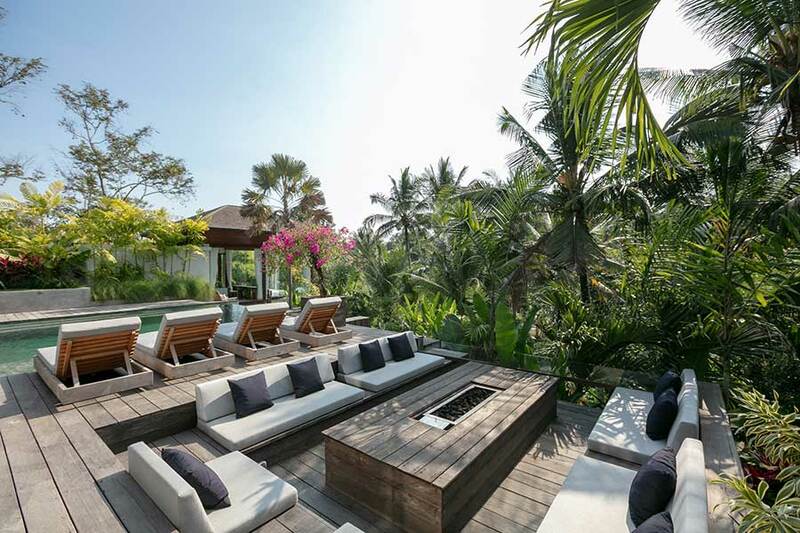 The location is amazing in the province of Pejeng, only a 10 minute drive into Central Ubud and 5 minutes away from some of the most luxurious huge resorts in Bali. 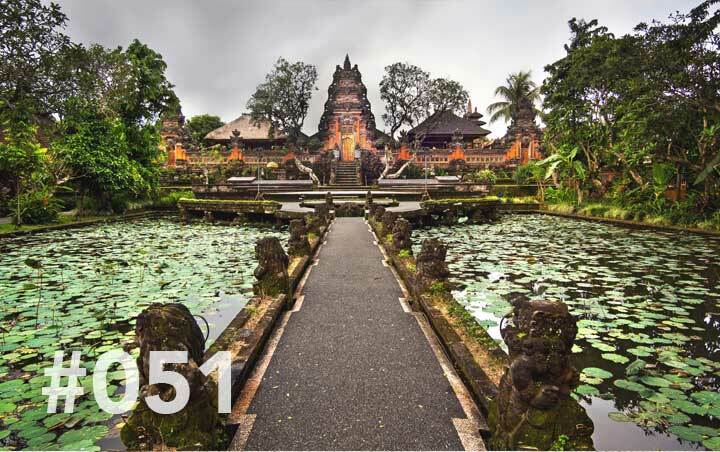 The area was the original centre of Ubud where the original King lived many years ago and has a lot of amazing history. We are all so blessed to make this our newest Bliss Sanctuary For Women. Finally my dream of an Ubud Retreat and exclusive sanctuary is being realised and I am so beyond excited to share it with you all. 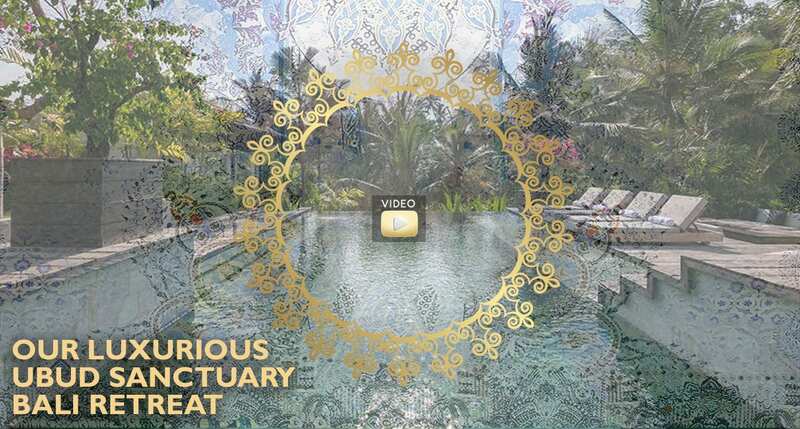 A true milestone for Bliss and hopefully the most amazing sanctuary for our guests who have been waiting so patiently for our new Ubud Sanctuary. As it is brand new they are still building the finishing touches, so we are waiting to open in April 2019 when it is absolutely perfect. We really hope you fall in love with it the same way we have and can’t wait to have you visit us in beautiful Bali Bliss in Ubud.